I'm not usually a huge fan of creamy alcohol (Baileys? 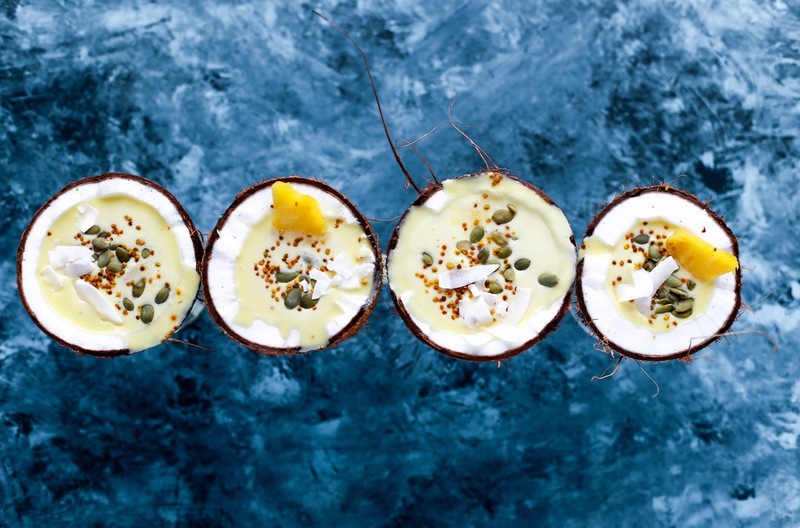 Eurgh... and don't get me started on espresso martinis), but my one exception is the Pina Colada. I had my first taste of this coconutty, pineapply cocktail when I was fourteen on the deck of a cruise ship with my mum and sister. All I can remember is thinking, 'if this is what alcohol tastes like, I can see why some adults become addicted'. Unfortunately, not all alcohol is quite as delicious - and people definitely don't get addicted to alcohol because of the taste. 1.Pour all the liquid ingredients into a cocktail shaker with some ice, and shake well. 2.Strain the mixture into a chilled glass. 3.Slide the wedge of pineapple onto the rim of the glass, then finish off with a tiny umbrella. 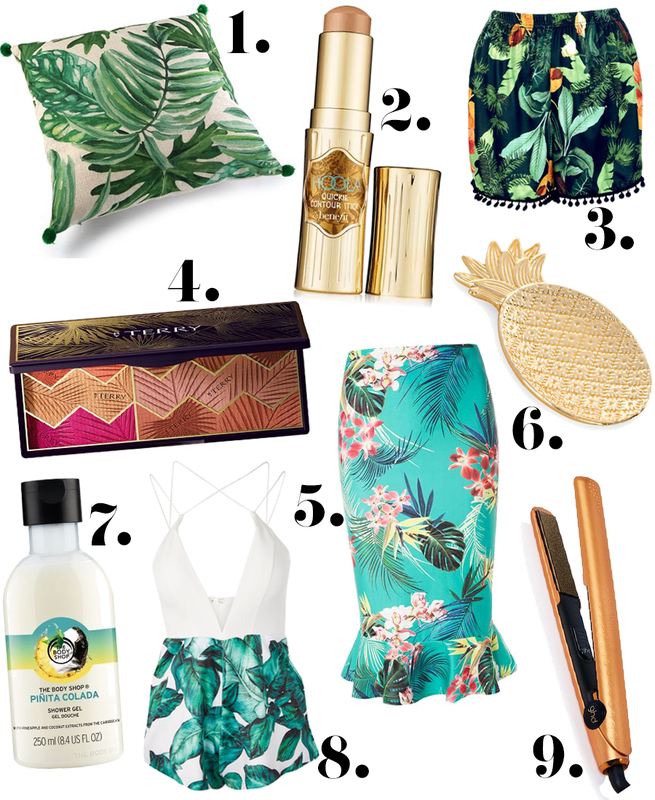 If you're a fan of all things tropical, and National Pina Colada Day has inspired you to do a cheeky bit of shopping, I've put together a wishlist of my favourite tropical themed homeware, beauty and fashion. Nail the vibe with palm prints, gold hardware and the odd splash of hot pink.